2 images. 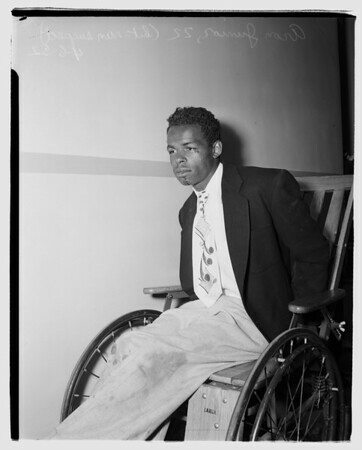 Hit -- run suspect ...Georgia Street Receiving Hospital, 6 April 1952. Aron Junior -- 22 years (Professional boxer of 1716 14th Street, Santa Monica following accident in which he was booked on felony manslaughter charge. He left scene of accident... woman in car in which he collided with died from injuries).